As the threat landscape grows more hostile and customers more concerned about those with whom they share their data, the need for cybersecurity leadership increases. Gone is the time when a startup could just accumulate security debt until large enough to hire a Director of Information Security. Fractional CISO Services enables cloud start-ups to bridge the gap from the point in their growth from when they need a cybersecurity leader to the point when they can afford one. George Pajari is the principal of Fractional CISO Services, and was previously the Chief Information Security Officer (CISO) at Hootsuite, the most widely used social media management platform, the largest cloud startup in Vancouver, and one of the Forbes Cloud 100’s “Best and Brightest” private cloud companies. Get in touch with us to set up a consultation, or use the contact form at the bottom of this page to enquire whether our services can advance your security and accelerate your growth. 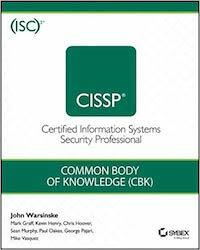 George was honoured to be asked by the (ISC)² to be one of the authors of the next edition of the official (ISC)² CISSP CBK textbook, to be published in May 2019. Improving your company’s security is easy. Buy every security service, tool, and product that catches your eye. Your security will improve, however, you’re likely to run out of money very quickly. The challenge is to know how to achieve Minimum Viable Security — just enough security, with the least expenditure possible, to reduce risk to a level acceptable to your customers and investors. And then, as you grow, iterate — increasing security where, and only where, such investments lead to measurable returns. Just as important as the marketing materials you use to explain the valuable services you offer, is the security collateral that explains how you will protect the precious information you are asking your customers to entrust to you. As a professional writer (three books and countless magazine articles), George knows how to craft a compelling security narrative. The coming of age of almost every cloud services company is achieving external certification of their cybersecurity. With that independent attestation, customers no longer have to take your word for your security. A SOC 2 audit is the most common external validation of a service organization’s security, and George has had the experience of preparing Hootsuite and other companies for their first SOC 2 audit. It’s a question of when, not if. All organizations will be compromised at some point, and as important as it is to put up a good defence, it is even more important to know what to do when it happens. George led the security incident response team at Hootsuite and has the scars to prove it. When you are ready to hire your first security engineer, who is going to verify their technical skills? Who on your team has the training and experience to be able to interview a security engineer and separate the wheat from the chaff? George has written the Security Architecture and Engineering section of one of the foundational textbooks in the field, and can quickly determine if a candidate has the skills you need. Cloud startups selling into the enterprise space quickly find that the risk-management vetting they are subject to can be daunting. George set up the supplier risk management at Hootsuite, and also handled many of the due diligence investigations by Hootsuite’s major enterprise customers so he has seen the process from both sides, and can assist and coach start-ups in navigating the process, shortening your sales cycle, and accelerating your growth. Please tell us a bit about yourself by filling out this form or sending us an email.